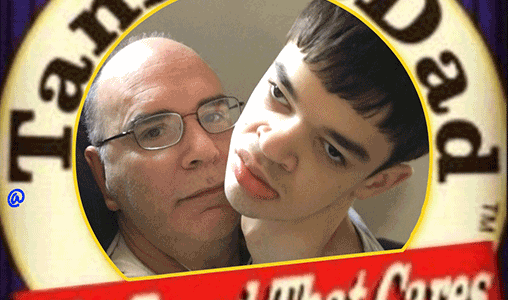 Tim is the Chief Media Officer for American Health Coalition a contributing editor for Age of Autism, and he is a talk show host (#TimTalk) Thursday 8 PM EST But, most importantly, Tim is the Father of Tanner, who is now 21 years old. He has documented their journey for the past 16 years on Social Media. Tanner deals with Seizures / Severe Autism following a Vaccine Injury. His Last words were “My name is Tanner. My name is Tanner.” At four years old. Tim also dealt with two life threatening Heart attacks at 38. Currently striving to live a healthier lifestyle, Tim has been vegan / vegetarian for the last year and a half and has been able to become Pharmaceutical free. Tim has been able to use Social Media to Support and promote many causes, events, books and movies. He helped develop and drive the #CDCwhistleblower hashtag to reach 5 Billion impressions.